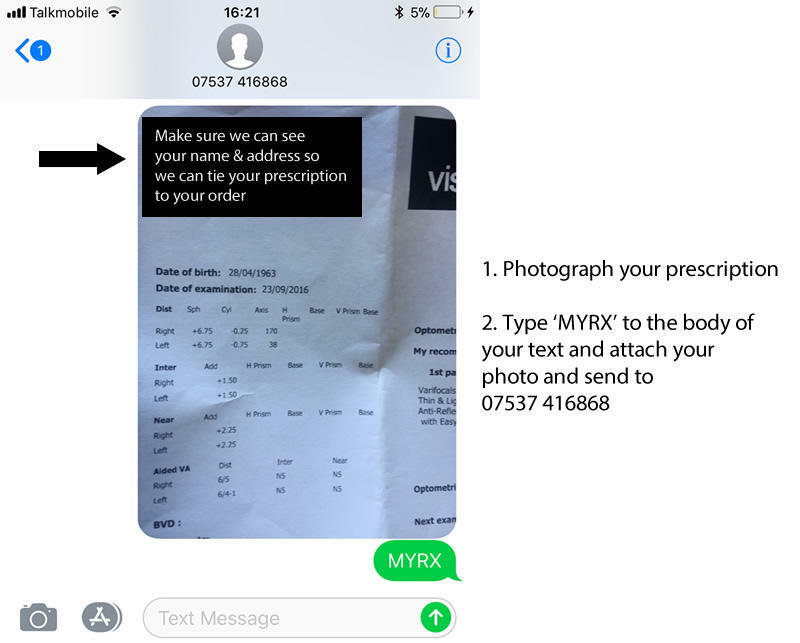 We've made this part of the process an absolute breeze because prescriptions, especially optician's handwriting, can be difficult to understand. Please add your order number to the email subject line. You may call us on 01489 572340 and we can take the details from you and confirm all your requirements. All these options are shown during the order process and you can select one of them.